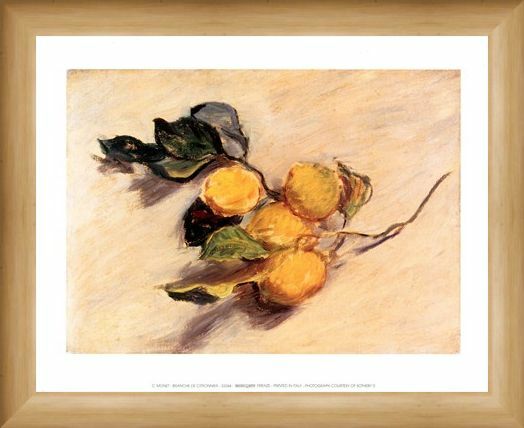 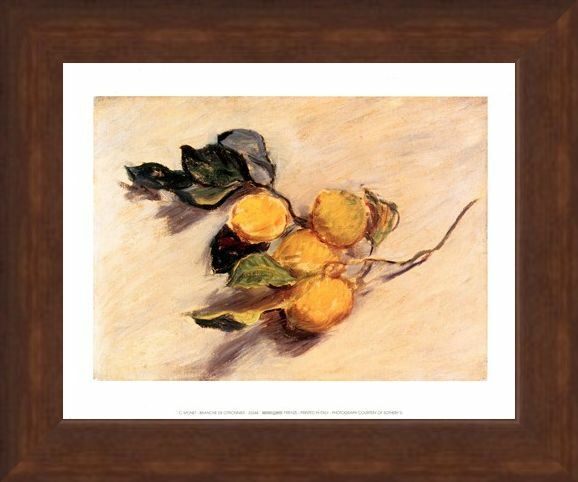 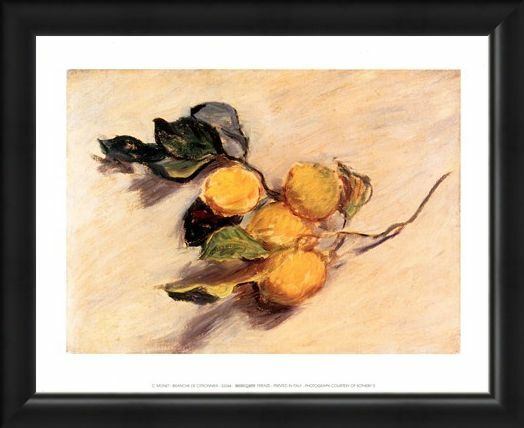 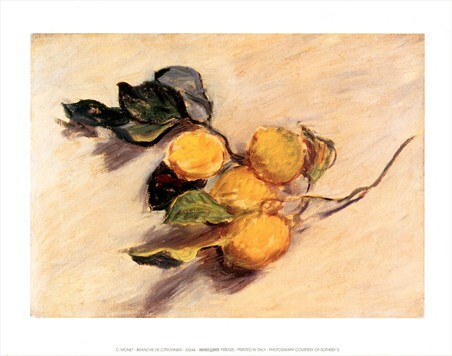 Art Print: Impressionist artist Claude Monet was renown for his stunning landscapes and scenery but he also created some wonderful still life paintings including the colourful 'Branche de Citronnier' (Lemon Branch). 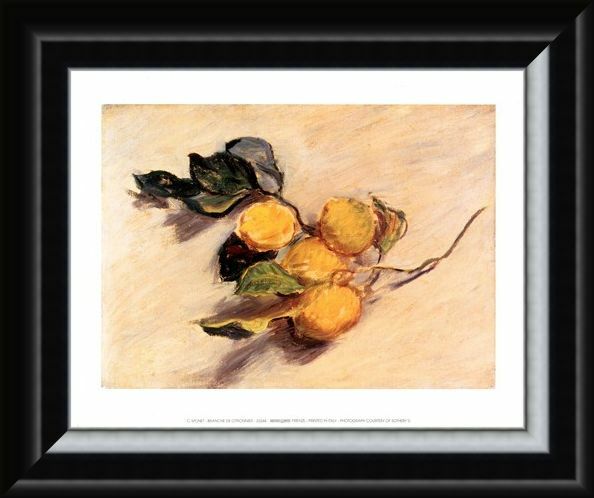 These juicy lemons hang from their branch, surrounded by deep green leaves as they sit on a beige table ready to add some refreshment to your day. 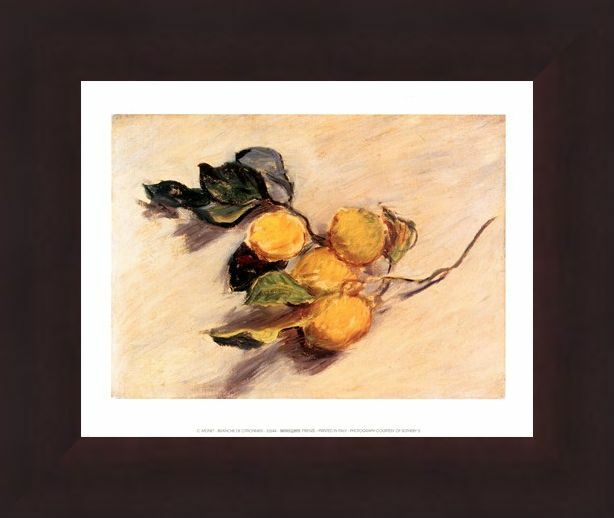 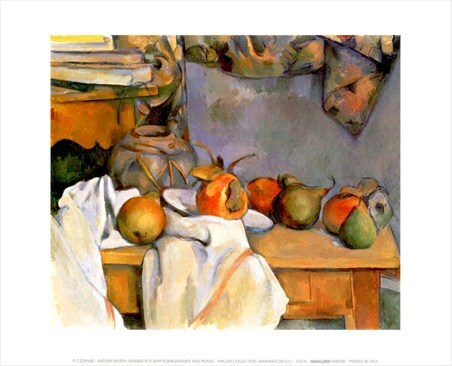 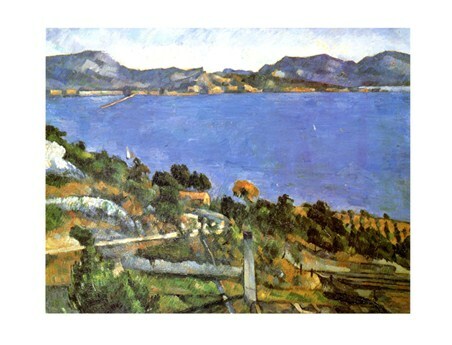 This print will make a wonderful addition to your home whether it is in the kitchen, living room or dining room. 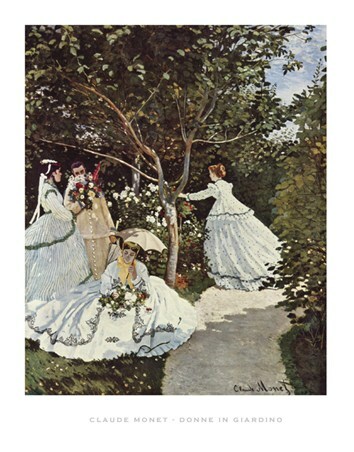 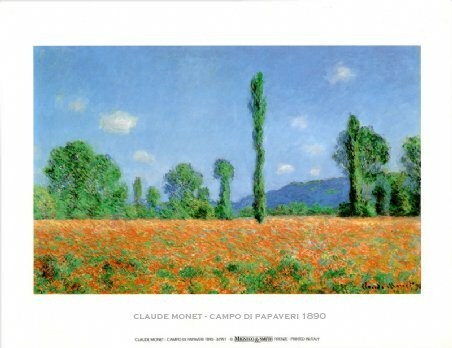 High quality, framed Branche de Citronnier, Claude Monet mini print with a bespoke frame by our custom framing service.